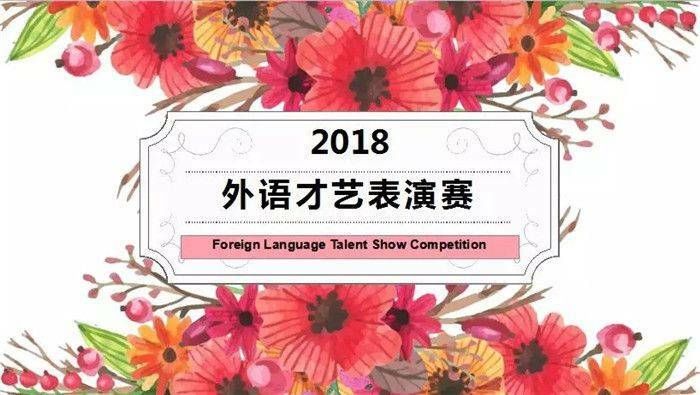 At the end of the year2018, a multi-lingual talent show competition, including English, French, Japanese and German, was staged at the international division in a festive atmosphere. 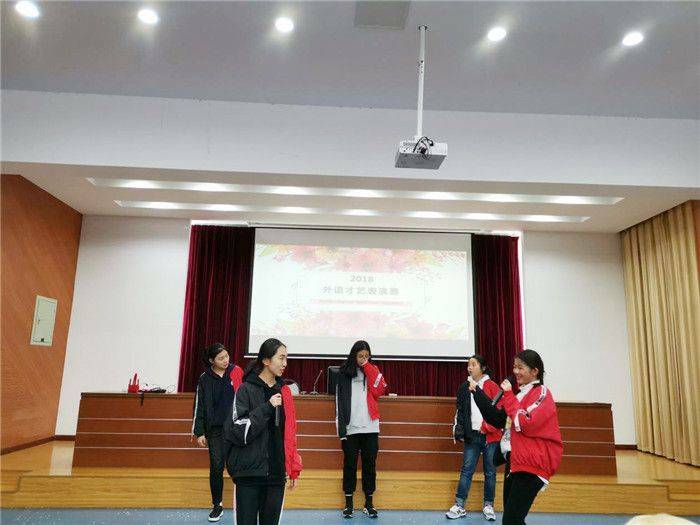 On the afternoon of 27th December, with the careful planning and preparation of the teachers and students, the foreign language talent show competition came as expected. 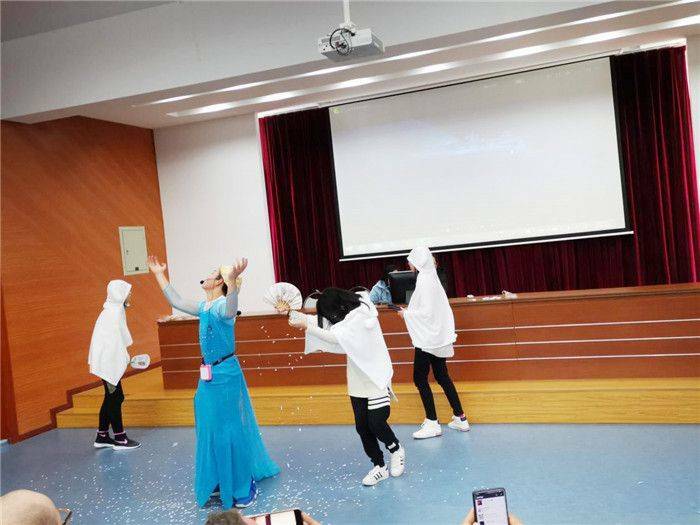 It is not only a talent show, but also a stage for students to show their foreign language skills and their personalities. 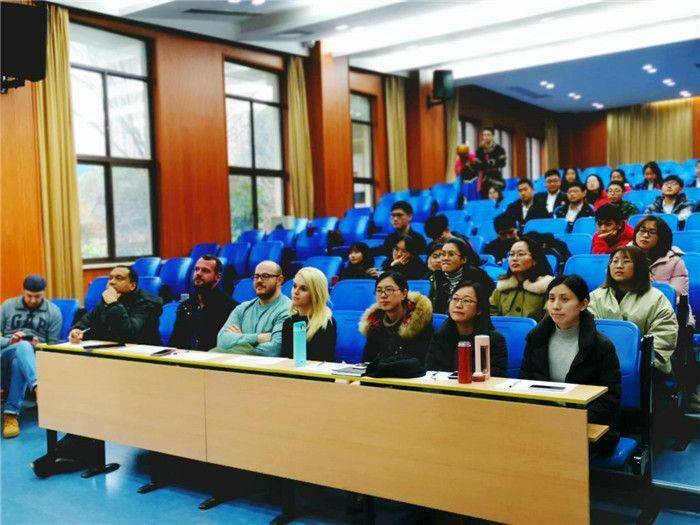 From Grade 7 to Grade 12, there’re ten classes, ten programs and four languages which have presented a high-level foreign language audio-visual feast. 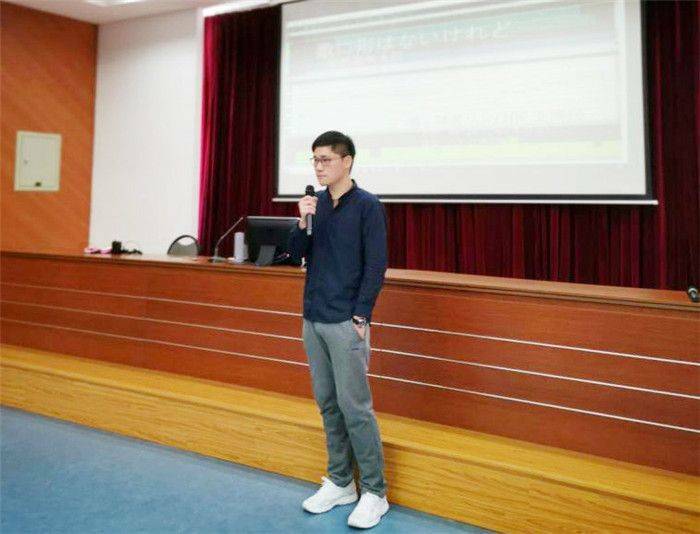 From the moment they got the notice of the competition, the students began to discuss warmly about the topic and the form of their performance. 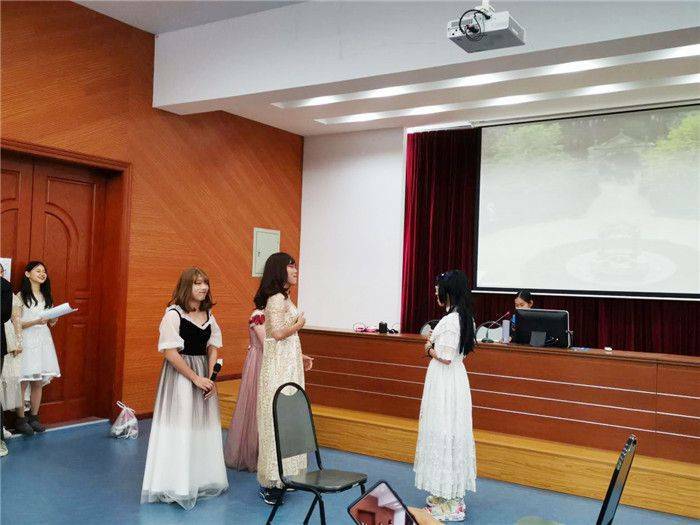 After repeated discussions, they determined the content and began to prepare costumes, props and makeup. With the help of teachers and classmates, they carefully considered the accurate expressions and pronunciations of the lines over and over again. 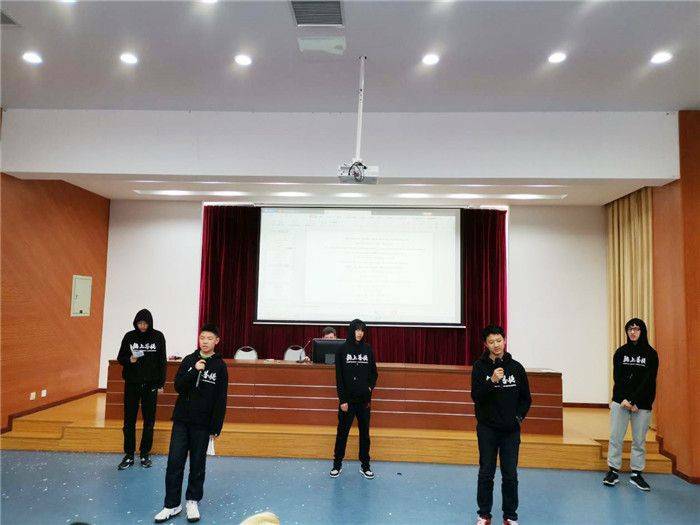 Moreover, they made full use of spare time to rehearse in order to give a perfect performance on the stage. First of all, Wen Boyang from Class 10F brought us an adapted Japanese song called "歌に形はないけれど", which is a very dynamic electronic mixing. 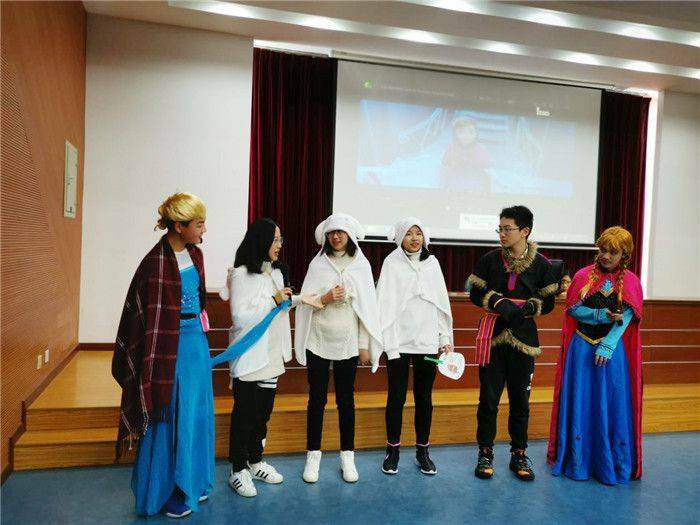 Then students of Class 9A, carefully arranged an English play "Cinderella". 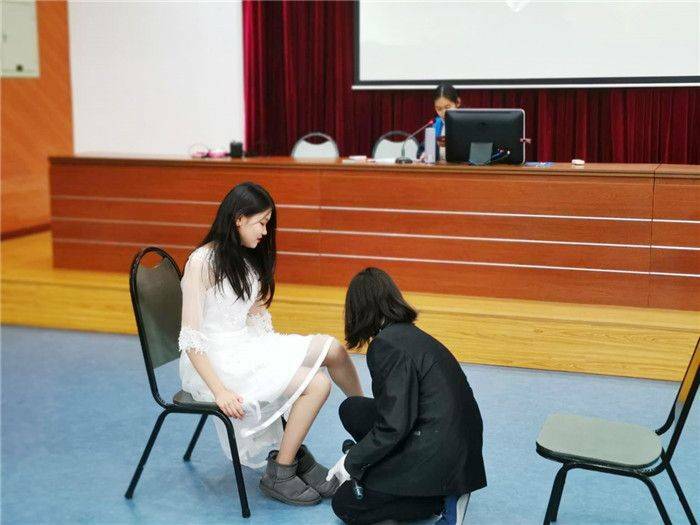 The cross-dressing performance form stunned the audience. 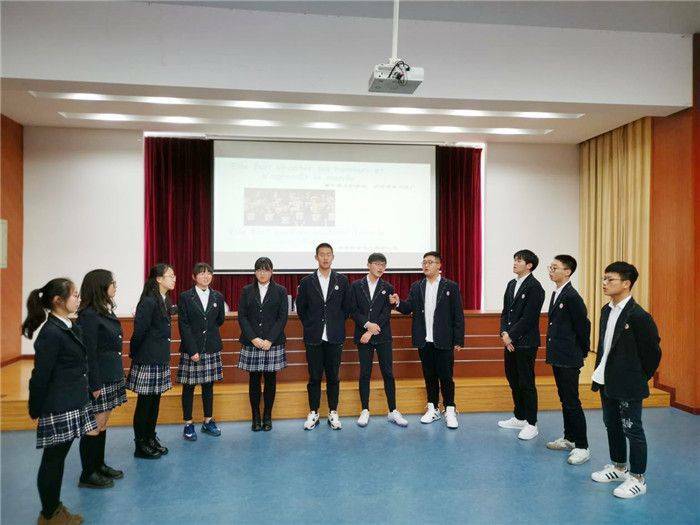 Class 10F students chorused a Japanese song "ありがとう", with very touching singing skills. 11F students presented the beautiful French song "La maladie d'amour" to the audience together. 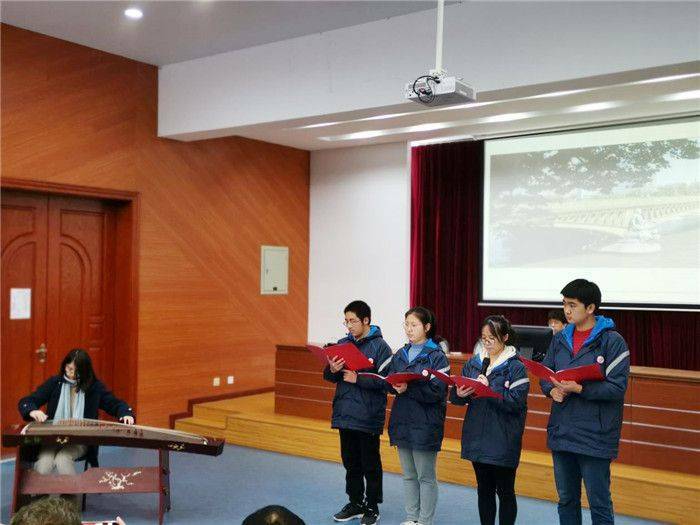 The poetry recitation "Pont Mirabeau" from 12F, accompanied by the beautiful guzheng music, led the audience to enjoy the French romance on both sides of the River Seine. 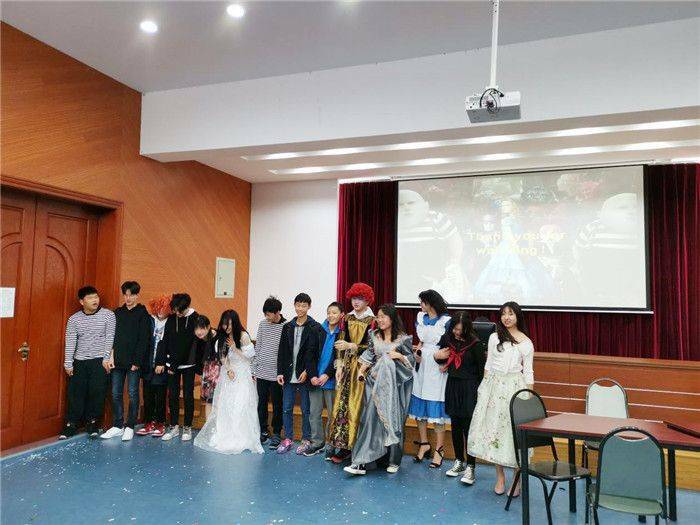 Next, the dressed up students of class 9B got on the stage. 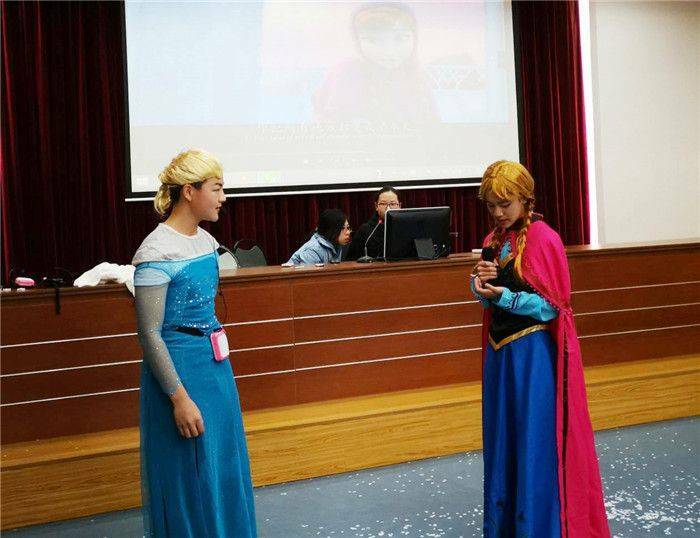 They performed a musical adapted from the cartoon movie "Frozen". It is novel and unique in design, with ice and snow effect. The two heroines were played by the boys. The strong performance and pure English lines won bursts of applause. The girls in Class 7A sang "That's not my name" and danced at the same time. The judges were impressed by the skillful dance and frequent interaction with the audience. 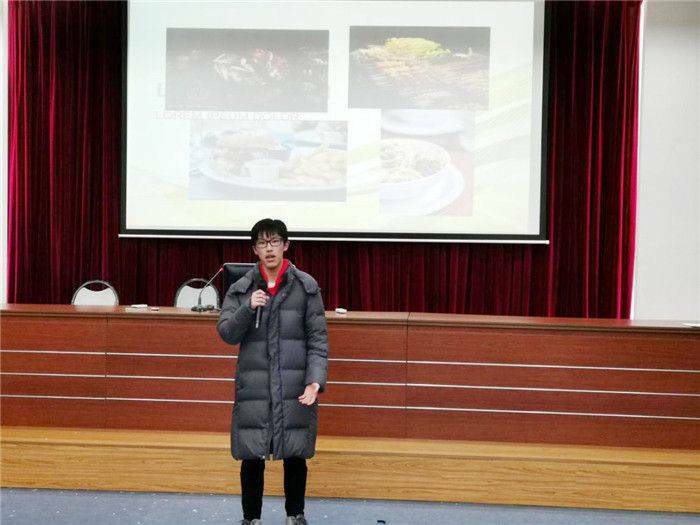 An English song "Wonderful You", was performed by Pan Ye from Class 7B. Her beautiful voice astonished the audience and won applause as soon as she opened her mouth. 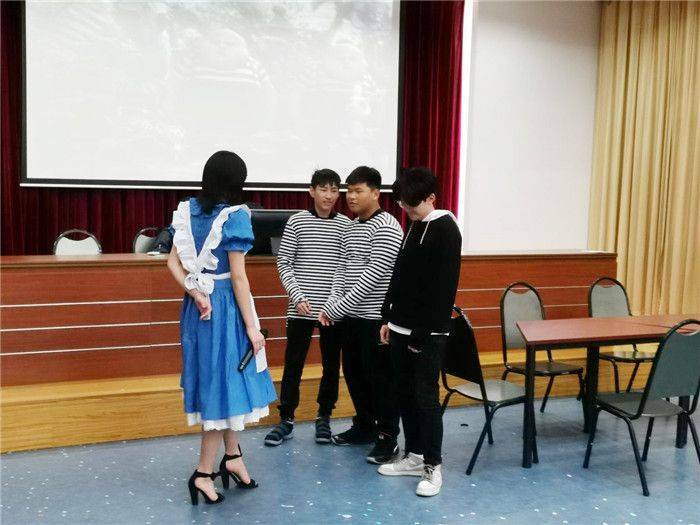 All the students in class 8A brought the English play "Alice's Adventures in Wonderland" to the audience. Their delicate makeup, flowery costumes and enthusiastic performance lifted the small climax of the whole activity. 8B sent five handsome boys to sing the German song "Ich schenk' dir die Welt". The beautiful melody, clear words and their perfect coordination wonderfully interpreted this romantic German love song . The students of Class 11E brought us a excellent speech entitled "What has food brought us". 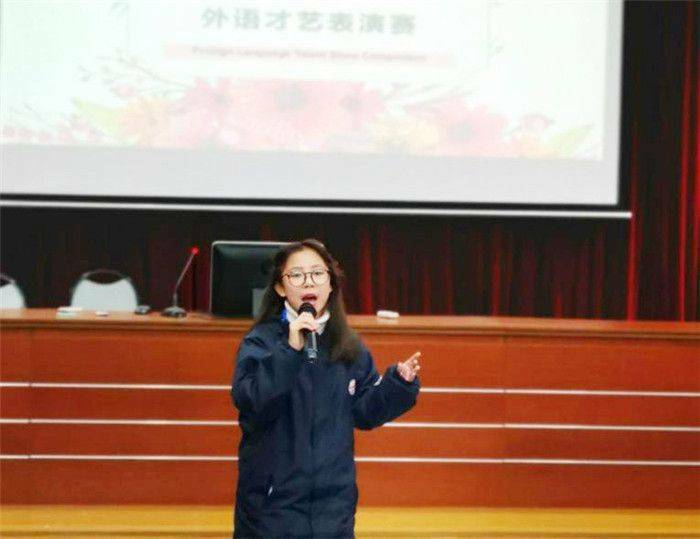 Through this foreign language talent competition, the students from the international division got a valuable opportunity to practise what they’ve learnt. 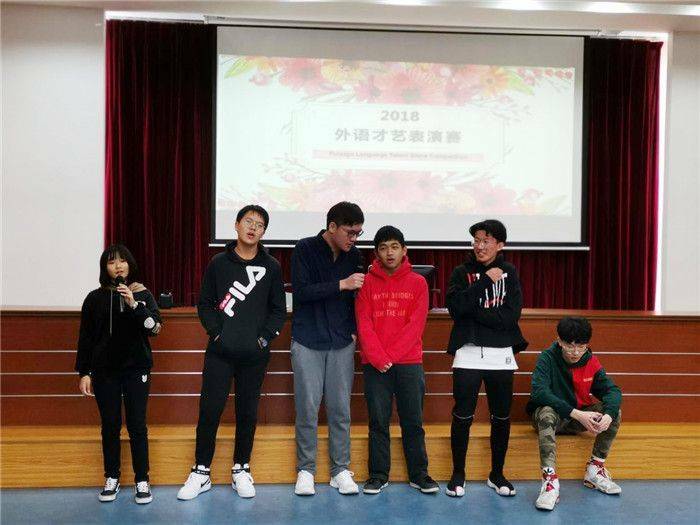 Their confident expressions on the stage as well as the mutual learning in the rehearsal process have brought great help to their foreign language learning abilities and motivation. The original intention and result of a performance competition is to harden their language skills in practice, to experience the fun of cooperation in the team, to cultivate the sense of beauty in appreciation and to share the joy of success!